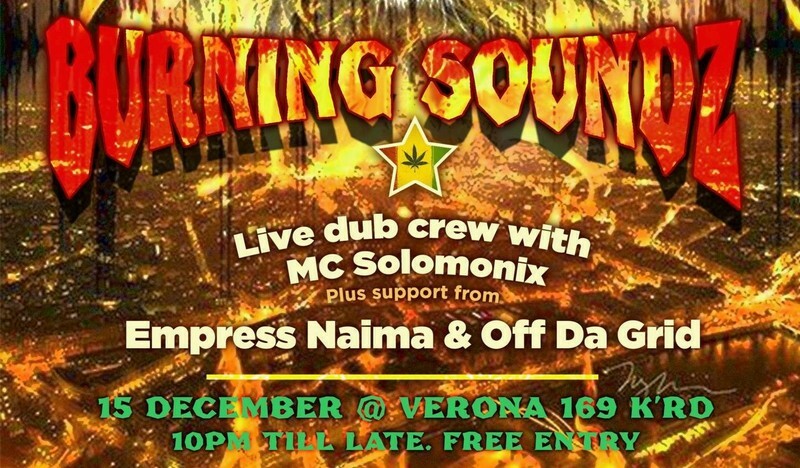 Dub session for Burning Soundz Crew Dec 15th! End of year special...also featuring KFM's 'Sunday Puff' & 'Off Da Grid' DJs... Empress Naima, Skarob & MC Solomonix! Free entry & good vibes guaranteed!